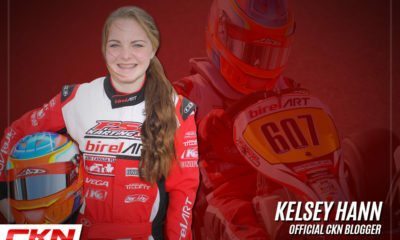 Kelsey Hann: I couldn’t be happier to be back in the kart – CKN | CanadianKartingNews.com | Because Karting is a way of Life! Hey CKN Nation! 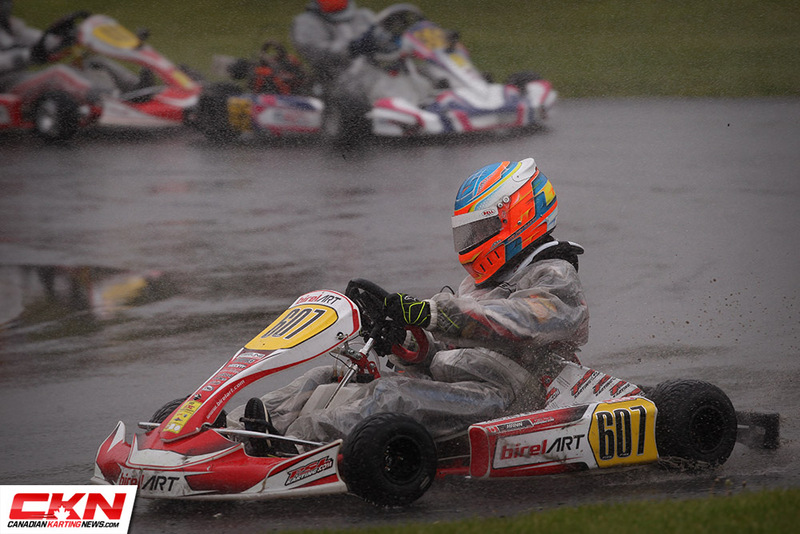 After the long winter has come to an end I couldn’t be happier to be back in the kart doing what I love. 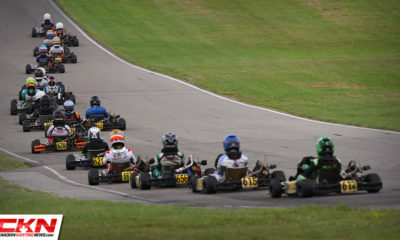 As you most know last weekend the first round of the Eastern Canadian Karting Championship hosted at Goodwood Kartways!! Tensions were high as all the drivers arrived filled with excitement to get the championship rolling. For myself the excitement would start Wednesday morning around 4AM when I left my house in Nova Scotia for the 16 hour haul. Words cannot explain how happy I was to get to Goodwood and back on the track there for the first time since last year. 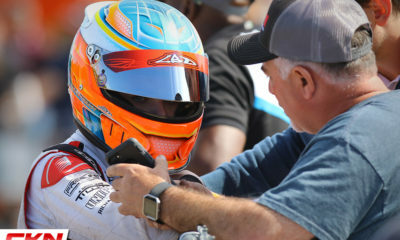 Not only was I excited to be back on track but I was also very excited to see all my teammates and friends again (shout out to the boys). In my opinion the first round is always one of the most exciting, everyone’s hopes are high and the adrenaline is just in the air. 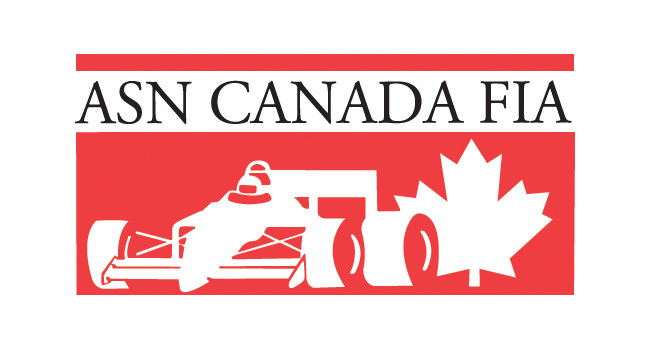 For me there’s honestly no better feeling than being on track racing against some of the top drivers in Canada. 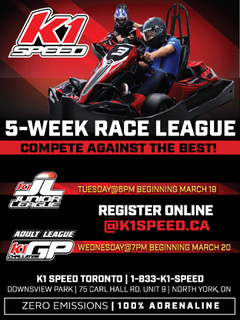 Being able to practice all day Thursday and Friday just made me even more excited for the races. With such a competitive field in Junior Briggs this year our races will for sure be one to watch. As Thursday and Friday passed by quickly the race days of Saturday and Sunday that I’ve been imagining for weeks finally became reality. I still don’t have words to describe the feeling you get on race day mornings. My body quiver’s with pure enthusiasm knowing that race day was finally here. All the training through the winter lead me to this point and now it was up to me. The moment I enter the track it’s like everything around me just stops, almost like I’m in my own little world out there. 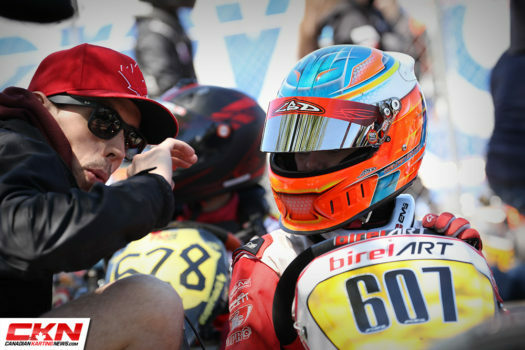 Once your on track you need to leave behind any nerves or uncertainty because there’s no room to be nervous out there. Things obviously didn’t go as planned on Saturday for me ending with a DNF in the final, but with the set up of the ECKC Sunday was a brand new day and I was going to put everything that happen on Saturday behind me and move forward. Sunday went much better for me and I ended the week on a high note finishing fourth in the rainy final. 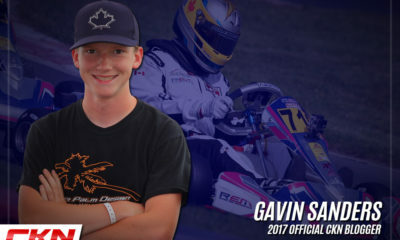 There were highs and lows to this week but no matter what the feeling of being back in my kart racing against some of the best leaves me speechless. I’m always very thankful to all the people that help me along the way to bring me to my accomplishments. 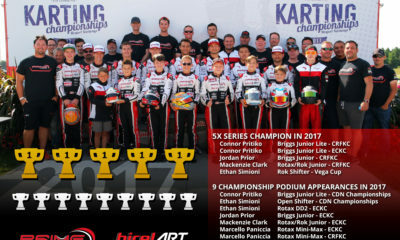 So I would like to thank PSL Karting, Ben Cooper, PSL Moncton, Michael Adams and my lovely parents!! 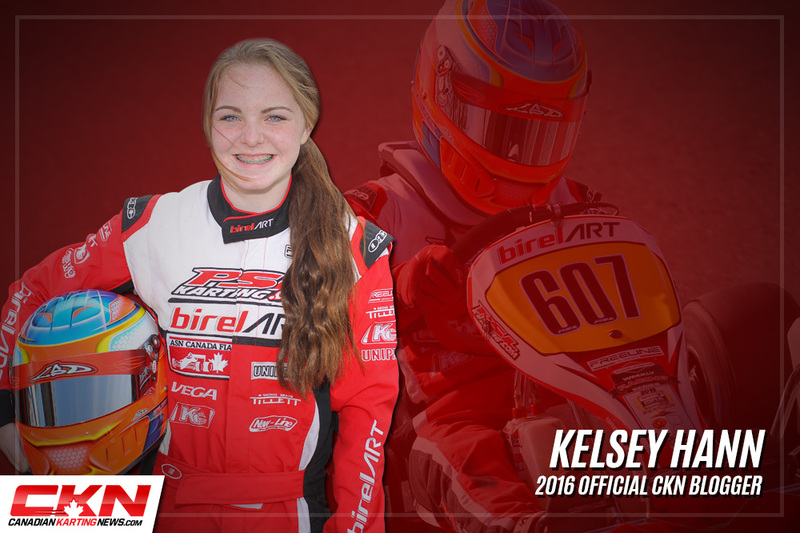 With the second round of the ECKC less than a week away I’m already ecstatic and can’t wait to be back in the beautiful city of Mont Tremblant! !